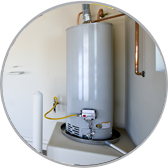 Water Heater Replacement Services in Apache Junction, AZ. Water heater problem? Maybe even a replacement? Well 4 fathers plumbing and home services is the plumbing service to call. Whether it be a replacement for a conventional, tank less or heat pump water heater, 4 Fathers can help. We have trained experts that can answer any question that you may have. We value each and every one of our customers and strive to act quick and diligently in getting hot water back to your house because we know no one wants to take a cold shower on purpose. For water heater replacement, DIY can get confusing and expensive. It can also take up a lot of your valuable time. 4 fathers Plumbing and Home Services is the experienced and complication free solution you can look to get your home back into working order. We offer services such as Water heater maintenance to cut down on yearly repairs, Water Heater Replacement Services in Apache Junction, AZ. and water heater repairs. You can feel confident in the service and reliability of the work we provide because we want to make you happy and proud of the service provided. We understand that feeling of despair and worry when you step into the shower or turn the faucet on and nothing comes out, or comes out cold. The moment that pit in your stomach gets deeper and more solid or that moment you don’t know what to do. Well at 4 fathers plumbing and home services, we take the worry out of repair and replacement. We do our work efficiently and honestly to get the repairs done in a manner that would in deed make our founding fathers and you, our customer, proud. With our friendly service, we do it all with a smile. We are here to help in any way we can. Please give us a call and we will be happy to serve you in your Water Heater Replacement Services in Apache Junction, AZ, needs.